New first-run strip Paternity Court and off-network sitcom Modern Family finally made their long-awaited syndication debuts on Monday, with mixed ratings results. According to TV Media Insights, Modern Family premiered to a 1.5 Nielsen household rating on Monday, putting it behind The Big Bang Theory’s debut (1.8) of fare premiering in off-net syndication in the last five years. Modern also easily cleared three other new off-net sitcoms: The Middle, Community, and The Cleveland Show. 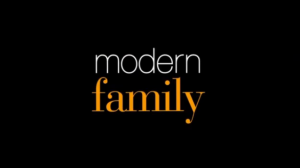 Modern Family improved the Sept. 2012 time period rating in New York and Los Angeles, where the show airs in prime access, the hour before primetime. In Chicago, Modern airs at 6:30 p.m. and 10 p.m. on WFLD-TV. In the key adult 18-49 demo, Modern Family drew a 0.8 rating in the top 25 Local People Meter markets on Monday, tying Big Bang for top off-net sitcom. While Modern appeared to open soft, keep in mind syndicators are more concerned about national ratings than the local station performances as those national numbers are usually cumed with ratings the show earns from cable so they can have better numbers to sell to advertisers. Meanwhile, MGM debuted its first first-run strip in many years with Paternity Court. Monday’s premiere episode came in with a household 0.5/2, down 17 percent from last September’s time period average. In the female 25-54 demo in Local People Meter markets, Paternity could only muster a 0.2/1. Paternity Court airs weekdays at 12:30 p.m. locally over WCIU.